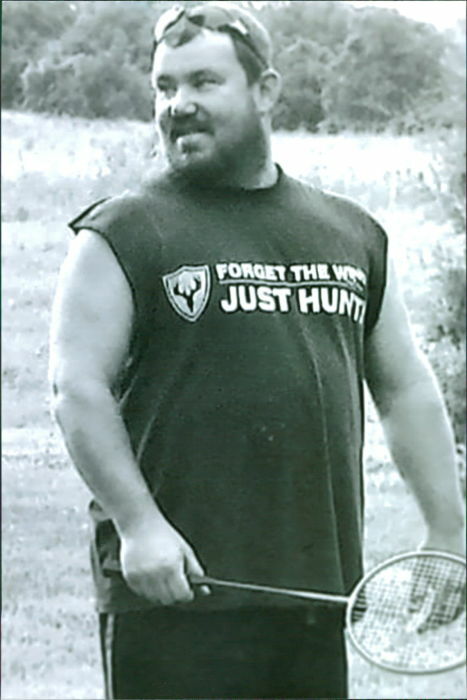 SANDERS, David Michael Jr.- age 45 passed away Wednesday November 28, 2018 in Tennova Health Care Lebanon, Tenn. He is preceded in death by his paternal grandparents, Clayton & Mary Sanders, maternal grandfather, Wendell Garrett; and numerous aunts and uncles. Survived by his wife, Shawna Sanders; daughter, Chelsea Gayle (Nathan) Allen; sons, Clayton Michael Sanders & Gannon Doyle Sanders; mother, Donna Kay(Tommy) Jones; father, Mike (Cyndy) Sanders; grandmother, Jane Lillian Garrett; step-children, Megan (Anthony) Dodd, Jeremy Frank Bowen, & Joshua Michael Bowen; step gtandchildren, Emma Louise & Haven Fay; sister, Mary Jane (Tim) Goblish; nieces and nephews, Mary Elizabeth Goblish, Garrett Goblish, & Gretchen Goblish; uncle, Boots Sanders; aunts, Barbara Dennis, Huetta Sanders, Gwen Garrett, & Vickie Garrett; many cousins and other loving family members. Michael was a member of Gladeville Baptist Church, and a HVAC technician. He was a 1992 graduate of Mt. Juliet High School. Visitation will be held on Sunday December 2nd 4-8 p.m. in the Partlow Funeral Chapel. Funeral services will be held on Monday December 3rd in the Gladeville Baptist Church at 2:00 p.m. Visitation at the church 11:00 a.m. until service at 2:00 p.m. Pastor Mark Marshall & Rev. Mark Wofford will officiate the services. Interment, Wilson Co. Memorial Gardens. Active & Honorary pallbearers will be family & friends. PARTLOW FUNERAL CHAPEL (615) 444-7007 OBITAURY LINE (615) 444-7700.